How to get Voters id? How to get Voters id? Voters id is a valuable Identity card. Primarily, voters id is essential for voting during elections.Voter id card can also be used for Address proof, Age proof and as Photo card for all government programs. As election is approaching in Karnataka, Election commission is speeding up the issue of voters id card in Bangalore. EC has come up with an new idea to avoid long queue to get photographed for voter id card.If you want to get a voter id, fill up the form and attach a passport size photograph and in 72 hours you will get the new voter id card.But the applicant has to go in person to get the Election Photo Id card. 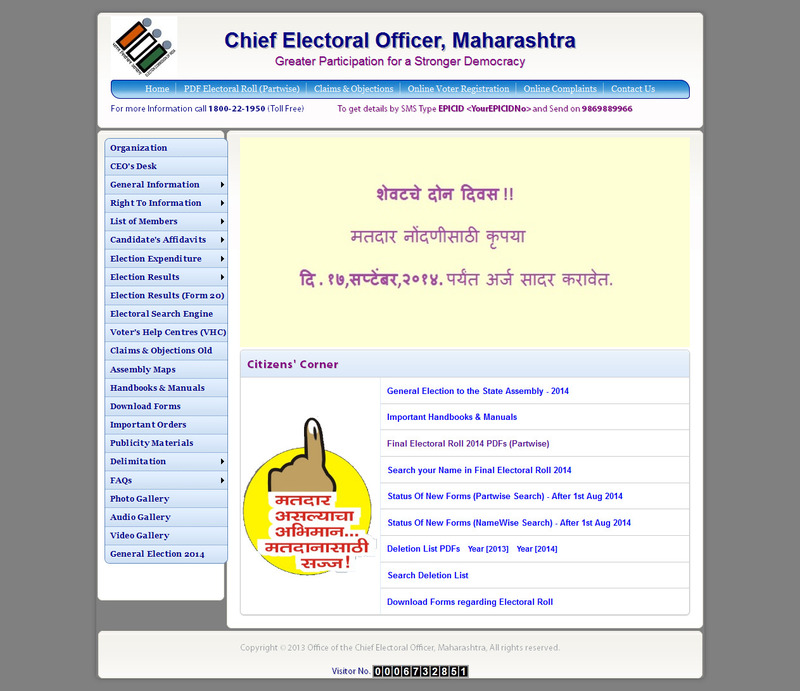 These are the guidelines provided at the website for applying for the voters id card.Download the online voter id card application form from this site. 3. Know your Newpart No and Assembly Constituency ,Make the relevant Entry of Serial No ,Part No and Assembly Constituency No while filling Form-001. If you want to know your Assembly constituency and Newpart No check here. Share your feedback and join my RSS feed. I need information when they will issue a voters id card again. Please check and give me the information, as i need one urgently. Look out in Newspapers for the announcement. Most of the time it will be before elections. Pls. let me know which form for the new voters ID Card? Get your Electoral Photo ID Card (EPIC) at Designated Photography Locations for free. EPIC campaign for Bruhat Bangalore Mahanagara Palike � BBMP (21 Assembly Constituency) & Bangalore Urban District � BUD (7 Assembly Constituency) will start from 15th February, 2009 to 31st March 2009.
please check give the information. My area is Mamatha Nagar, Nagole, L B Nagar, Hyderabad.